Old Furniture At The Geffrye Museum, Kingsland Road. Tram Services 43, 45, 47, 49', London County Council (LCC) Tramways poster, 1924. 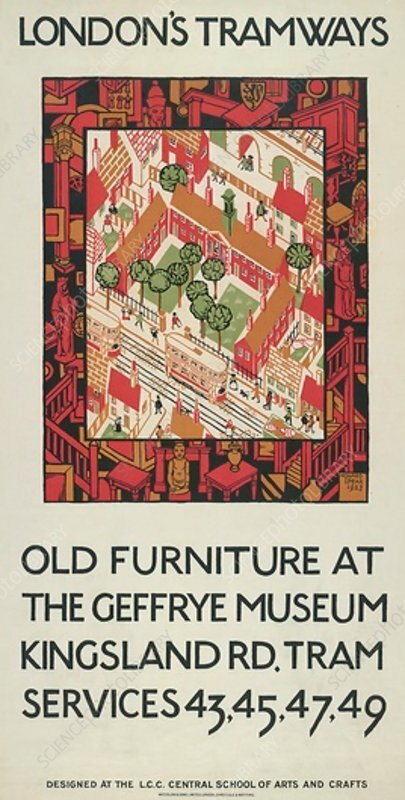 Showing a bird's eye view of the Geffrye Museum, overlaying a graphic made up of objets d'art from the museum. Designed at the LCC Central School of Arts and Crafts.